Christmas Concert Letter/ All-State Due Today!!! Christmas Concert Letters are due today, signed and returned. 10% of the band grade!!! All-State registration fees due today. $10.00 made payable to the Moody Band Boosters. Auditions are on Saturday, January 19th at Southside High School. Some winners participate in the District II honor band at Albertville, March 15-16, and some may advance to the all-state festival in Huntsville, April 18-20. All students are encouraged to participate. This was forwarded from Ms. Kuyk. Please let Dr. Sargent know if you are attending a session that conflicts with a band event so that we can work around it. Thank you! Please bring the Real ACT Prep Book with you to all sessions. Friday, 12/21: School Dismissal at 12:00 Noon!!!! Take ALL instruments and music home. Cubby and lost-and-found contents will be emptied and donated to charity during the holiday. Registration is now open for those wishing to audition for the 2013 Alabama All-State band. Auditions are held on Saturday, January 19th. Registration fees are due at the band room by the end of the school day this Friday, November 30th. Interested students should bring $10.00, made payable to the Moody Band Boosters. Please allow Dr. Sargent to document your payment before placing in the band room money box. All students wishing to audition must pass off all materials, including scales, for Dr. Sargent before audition day. On Tuesday night, November 27th at 7:30 PM at the Jacksonville State University Performance Center, our Trombone Ensemble and Trombone Quartet will be putting on our fall concert. The concert is free and open to the public - all fans of the trombone are encouraged to attend! An informational flyer is coming home with all students today to be signed and returned to the band room by Friday, November 30th. When you receive your flyer, please make one correction: The concert will take place at the Moody Middle School gym, NOT at the high school gym. A scheduling conflict necessitates a change in venue. Thank you! Students who borrowed uniforms and/or equipment for the UAB all-star band: Not all uniforms and other items have been returned. Please be sure to return those items by tomorrow (Wednesday) and see Dr. Sargent to confirm the return and have your name removed from the list. 7:30-8:45 am on Wednesday is an excellent time to return those items before going to MHS classes. Thank you! Applications for the winter pre-clinic auxiliary camp are now available in the MJHS and MHS offices. Please return applications and payment to the envelopes located in either office before December 7th to reserve your place at the camp. No applications are accepted without payment. Reminder: Percussionists should bring stick/mallet bags every day. If you don't yet have a stick bag, see Dr. Sargent for a list of recommended bags, sticks and vendors. Beginner Band Smackdown is this Friday on page 15, line 67, "Three Beat Jam." Practice and play your best, and you might win the prize! While you're here on the website, be sure to click the link to join the Moody Blue Devils Yahoo Group so you can get up-to-date information on band activities! Percussion ensemble will meet until 4:00 pm on Tuesday, November 13th. No other after-school rehearsals are scheduled for this week. Please remember our booster meeting tomorrow (Tuesday) evening at 6:30 in the band room. This meeting is occurring on the 2nd Tuesday this month because the 3rd Tuesday is Thanksgiving week. We hope to see everyone there! A new Cosmic Bowling fundraiser will be held for the Moody Band and auxiliaries on December 21st from 7-9 PM at Lightning Strikes in Trussville. Students will sell reserved spots for the event for $10 per person. This includes shoes and ball. All money and names must be turned in by December 7th. Forms are available in the band room and are printable from the Moody Blue Devils Yahoo Groups site under "files." $7 of each spot sold will go into students' individual accounts. We only have 240 spots to sell and they will be sold on a first come, first served basis! Students, as you sell spots, please be sure all names are legible. Money should be placed in the money box in the band room according to instructions. Forms go directly to Dr. Sargent so a running total can be kept. Anyone not following these instructions and placing a form in the money box instead of sending to Dr. Sargent may jeopardize their spots being counted. Dr. Sargent does not have access to the money box. 3. Persons wanting to bowl together on the same lane should be indicated on the form. We will not take reservations without payment. If you are participating in the UAB All-Star Band this weekend, please remember to sign out your uniform, shako, and a plume before leaving school on Friday. In addition, be sure you have your shoes with you. The band room will be locked Friday afternoon and unaccessible through the weekend. Please see Dr. Sargent for the uniform sign-out sheet. All uniforms should be signed in and returned to the uniform room on Tuesday morning following the Veteran's Day holiday. Students who did not play an audition are placed in alphabetical order by last name below those who auditioned. Following the Christmas concert, players will be re-seated according to accumulated progress in weekly pass-offs. Other re-seating dates will be announced over the course of the spring semester. Students are encouraged to prepare pass-offs as frequently as possible to maintain existing positions or to advance to higher positions within a section. Hello everyone....Hope you are enjoying your first semester of teaching and are planning to take part in the up coming AMEA Conference in Montgomery on January 10 - 13, 2013. As I am enjoying the title of "Past President" I still have work to do with AMEA. This year I will preside over the FAME program for our Future Alabama Music Educators. We need you to encourage your juniors and seniors who are interested in majoring in music to attend the program we have planned for them on Thursday, January 10, 2013. This message is a reminder that students only have 10 more days to register for the 2013 Auburn University High School Honor Band Festival that will be held February 7-9, 2013. The deadline for registration is November 15th. We are still in need of students in all sections (especially bassoon, bass clarinet, trombone, euphonium, and tuba). All Rubank Books: $7.00 ea. Alfred Method (bk 1 or 2): $10.00 ea. Mitchell Peters Mallet Method: $27.00 ea. I realize the mallet method is rather expensive, but this is a text that will serve all percussionists for as long as you play the instrument. If you no longer wish to keep the book after graduation, you may sell it to a younger student to recoup a portion of the expense. Books are available beginning tomorrow (Tuesday, 11/6/12). 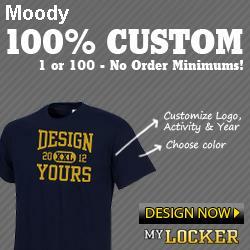 Make checks payable to the Moody Band Boosters. If you have a question about which book(s) to purchase, please ask Dr. Sargent at brad.sargent@sccboe.org. Monday, 11/5: Marching Band/Auxiliary Party 3:00-5:00, Football Stadium. Students desiring to stay for the party will remain/report to the band room at 3:00 and go with Dr. Sargent to the stadium. Please have all rides ready for pick-up at the stadium (not at the band room) NO LATER THAN 5:00 pm. Students who drive will be given an opportunity to transfer cars from MHS to the stadium after traffic has cleared. Help is needed from any parents/guardians able to attend. Tuesday, 11/6: Percussion ensemble begins during 7th period band and continues until 4:00 pm. Please have all rides ready no later than 4:30. Dr. Sargent has been assigned lunchroom supervision for each morning this week. As a result, the band room will not officially open until 7:45 each morning. After this week, the regular 7:30 opening time will resume. Please remember: Band and auxiliaries will perform at MMS on 12/6 during the school day, on 12/8 in the Moody Christmas Parade, and on 12/13 in the Christmas concert. See details on the master schedule posted on Yahoo Groups (also sent home with all students last week). Passoffs begin this week. Christmas concert seating arrangements based upon scale requirements will be posted as soon as all make-up performances are completed but no later than Monday evening, 11/5. Following the Christmas concert, the band will be re-seated for MPA preparation and performance according to progress in weekly passoffs over the next several weeks, beginning with the progress made by students this week. Another re-seating will take place after MPA in anticipation of the spring concert, and following the spring concert, passoff records will determine section leader and section seating order for the fall 2013 marching season. Students should "bank" passoffs each week to remain competitive at each re-seating time. Dr. Sargent is available at 7:30 each morning to hear passoffs in the band room, and an independent instructor will be available during each band class once per week to hear all students in turn during rehearsals. Passoff Books: For wind instruments, progress is made in the following order: Essential Elements Book 1, Rubank Elementary, Rubank Intermediate, and then the Rubank Advanced method. Percussionists progress through two separate texts simultaneously, gaining signatures in each book as lines are passed off. The progression for percussion begins with Alfred's Drum Method Books 1 and 2. Simultaneous work is accomplished in Fundamental Method for Mallets by Mitchell Peters. All students should own the appropriate text by Tuesday, November 13th. A price list will be posted online soon, and students may purchase the books at the band room with funds made payable to the Moody Band Boosters. If you are uncertain of which method you should own, please see Dr. Sargent or e-mail brad.sargent@sccboe.org for guidance. Anyone interested in purchasing professional pictures taken at MidSouth can go to the website allabouttheband.com. Go under the headings Photography, Marching bands, Marching bands 2012, Midsouth and Moody. They have great pictures of all the students while performing the half time show. Thanks to all who have volunteered to work, but I am still in need of 6 people to work the concession stand tonight. I think they need a couple of people to help with funnel cakes as well. Those on the list are below. Join us for our winter camp to learn dance line, color guard, and majorette basics. There are five camp days scheduled...attend some or attend all. $40 for all 5 days. Checks should be made payable to MHS. Mandatory parent meeting will be held on January 24 at 6:30 in the MHS band room. Applications and payment for Winter Camp bay be picked up and returned to the MJHS and MHS offices. Come join the fun!! The band boosters are hosting a party for members of the marching band and auxiliaries on Monday, November 5th, from 3:00 until 5:00 pm, at the football stadium. Students who plan to attend should report to the band room at 3:00 on Monday. After school traffic has cleared, those who drive will be given a chance to retrieve cars before going to the stadium. There will be games and food for all. Students should wait for rides at the football stadium at the conclusion of the party. Please have all rides ready by 5:00 pm. In the event of inclement weather on Monday, the party will be rescheduled for Thursday, November 15th in the MJHS gym. Look for postings on the website and Yahoo Groups for any changes or updates. Though it may be difficult for many parents and guardians to be available during this time, help would be greatly appreciated. If you are able to help or have ideas for games or activities, please email Greg McGinnis at mcginnis5@freemail.hu. Troy University is now taking applications for its honor band festival at the middle school and high school levels (dates differ). See Dr. Sargent for an application packet or send an e-mail to brad.sargent@sccboe.org with "Troy Honor Band" in the subject line to receive an application. The University of South Alabama also has posted information on honor bands. See the band room bulletin board for details or visit the University of South Alabama Bands website. I am still in need of 6 more workers for this Friday night's game! All workers need to be there by 5 PM to help prep and stay until clean up is done after the game! Please let me know if you can help this week by email at mattkimbennett@aol.com or text/phone at 205-914-3559. These are the people that have volunteered to work so far! I also need to know who is working funnel cakes! You must be on this list if you are helping, or you will have to pay to park and get in the game. Thanks for all your help this year!! Several students have not yet taken the opportunity to play the concert band audition. The audition consists of three chromatically adjacent major scales played from memory. Tomorrow (Friday, 11/2/12) is the last day to audition before part assignments are made. Any students not having auditioned will be placed at the lower end of the section in alphabetical order by last name. Dr. Sargent is available in the band room beginning at 7:30 each morning to hear auditions. After initial placement is established, all students will have a chance to advance according to progress in weekly passoffs. Please order your Rubank Elementary, Intermediate, or Advanced method books for this purpose. See Dr. Sargent for help with this. Percussionists will use a different method book for passoffs, separate from the Rubank method for winds. Again, see Dr. Sargent for information. Thank you! Please remember: Marching band and auxiliaries will rehearse today, 3:00-4:30 pm, band practice field. A friendly reminder: I have been asked to remind parents and guardians that working in the concession stand (and being on the concession worker list) is the only way to be admitted free to games. Those not appearing on the list of concession workers are charged a $5.00 fee to enter the gate. Thank you! Dr. S.